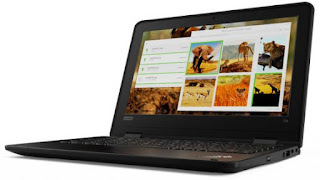 Lenovo has launched Lenovo ThinkPad 11e and 11e Yoga, 500e Chromebook. Lenovo says that the entire education portfolio is MIL-SPEC tested including drop-testing up to 29.5 inches. The ThinkPad 11e and 11e Yoga according to Lenovo pack thinner and lighter than the previous generation. The 5th generation ThinkPad 11e and 11e Yoga said to offer up to 12 hours battery life. They are powered by the Intel N series processors and run on Windows 10 operating system. They are also MIL-SPEC tested and just as the name suggests, they sport an 11.6-inches display with an optional touch screen on the 11e. They also have a front-facing camera and garaged pen support. Thinner and lighter than the previous generation, the 5th generation ThinkPad 11e and 11e Yoga also offer improved battery life, up to 12 hours1. ThinkPad 11e and 11e Yoga with Windows are updated with the latest Intel N series processors. 12 method MIL-SPEC testing prepares the laptops for the rigors of classroom life. 11e Yoga features a garaged pen for easier storage and world-facing camera enabling pictures and video-recording in tablet mode. Lenovo Chromebook 500e features 11.6-inch HD IPS display with Gorilla Glass and is powered by an Intel Celeron N3450 processor with up to 8GB RAM and 64GB storage. The Chromebook also comes with a bundled pressure sensitive pen. It also has a 5MP world-facing camera and offers up to 10 hours battery life. 5MP world-facing camera makes it easier to record and take pictures in the correct orientation from all four modes. Lenovo 100e and 300e will be available in Windows and Chromebook variants and are powered by the Intel Apollo Lake processors and MediaTek MTK 8173C processor processors. The Lenovo ThinkPad 11e starts at $429. ThinkPad 11e Yoga starts at $499. Both will be available starting February. 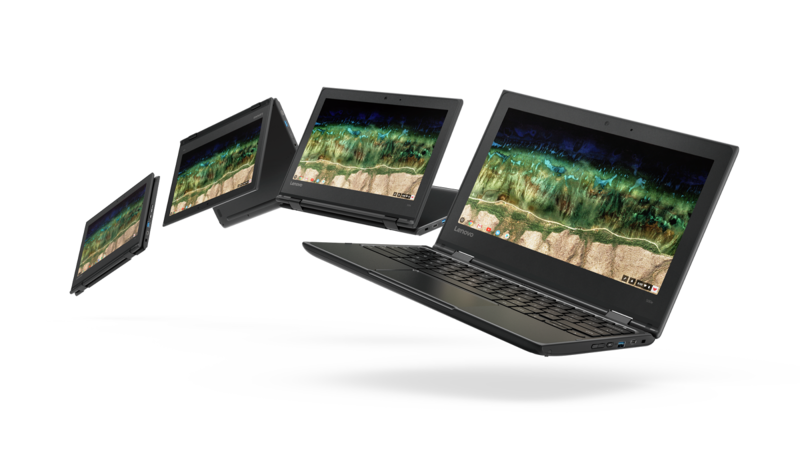 The Lenovo 500e Chromebook will be available from January 2018 starting at $349. The Lenovo 100e Windows variant will be available from this month and Chrome OS variant from March 2018. Pricing starts at $219 for both the variants. Finally, the Lenovo 300e will be available from January 2018 for Windows and February 2018 for Chrome OS. Pricing starts at $279.99 for both the variants.